Frank Fernandez is the Principal Officer and Chief Supply Chain Strategist for waypoint2580, a Miami, Florida company established to provide supply chain strategic services, subject matter expertise, advisory services, operational assessments, B2B linkages, and business developments services, to various market segments, including but lot limited to, healthcare organizations, individuals, manufacturers, healthcare consultants, not-for-profit organizations, distributors and suppliers and suppliers. Mr. Fernandez has a distinguished career in healthcare supply chain services. He retired in December, 2016 as Assistant Vice President of Supply Chain Services, from Baptist Health South Florida, after 33 years of service. During his tenure at Baptist Health, he performed various roles that included serving as its representative on the Premier GPO’s Strategic Advisory Committee, where he served since 1996, and was its first Committee Chair. He directed Baptist Health South Florida’s GPO affiliate initiatives in South Florida and the Caribbean Basin. 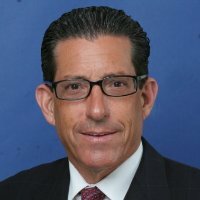 He is has been responsible for managing pharmaceutical and medical distribution prime vendor agreements, and has spearheaded the development of Direct Distribution Agreements, to support Baptist Health South Florida’s 150,000 square feet Consolidated Distribution and Services Center (CDSC), which opened in November, 2014. Prior to his long career at Baptist, Mr. Fernandez worked at the Public Health Trust of Miami-Dade County/Jackson Memorial Hospital, in various capacities. A graduate of Florida International University, Mr. Fernandez, who is originally from Cuba, has lived in South Florida since the early 1960s. Bill Hayes is a senior executive with information technology, general management and operations experience. Mr. Hayes currently sits on the board of two Atlanta-based technology companies while actively advising several other early stage enterprises. 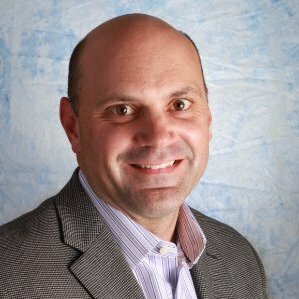 Prior experience includes serving nearly 10 years as President and COO at Vendormate, a SaaS-based vendor management and compliance company focused on the healthcare industry. While at Vendormate, Mr. Hayes was responsible for Vendormate's business operations including sales; marketing; product management and development; account management; implementation services; corporate services; and customer support. Mr. Hayes was instrumental in leading Vendormate through two financial transactions. The first was a majority recapitalization (sale) to a private equity firm in December 2010. The second was a sale of the business to a strategic buyer in November 2014. Prior to Vendormate, Mr. Hayes founded Cadence Solutions, a general management-consulting firm with a strong technology focus. Prior to Cadence Solutions, Mr. Hayes served as Vice President of Information Technology for Lend Lease Real Estate Investments, a $6B real estate solutions and investment management company operating in 41 countries. In addition, Mr. Hayes served nearly four years with Andersen Consulting as a Senior Consultant. Mr. Hayes attended Michigan State University where he graduated with highest honors and received a BA in Financial Administration. Mark Albright is the primary Clinical Resource Analyst involved in the sourcing, analyzing and effective procurement process of capital equipment and supplies at Orlando Health Inc; an eight-hospital integrated healthcare delivery network in Orlando, Florida. Mr. Albright joined the Orlando Health organization in 2000 and has over 23 years of experience in supply chain and facilities project management, contract and support services, and client administration. Mr. Albright plays a critical role in the planning for equipment and service needs of hospital department renovations, new building openings and the integration of offsite clinical practices into the Orlando Health process. He has served as the Chair for the Emergency Management Focus team, Trainer for the HEICS program, is a founding member of the Green Team and current member of the Medical Equipment Management Focus Team and several organizational cost savings initiatives committees. 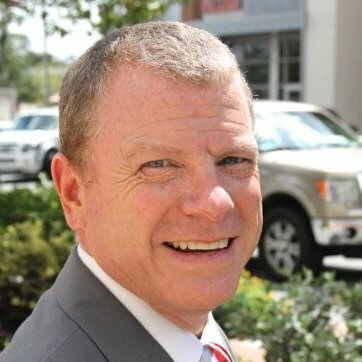 Previously, Mr. Albright held management positions with the Physician-Patient Alliance, Borg Warner Security, Northeast Security, and Marriott Management Services. Mr. Albright has a Bachelor of Arts degree in International Business as well as Human Resources, from Eckerd College in St Petersburg FL. Mary Fuller, Colonel, US Army Retired. Mary Fuller’s career has spanned over 30 years with combined military service and industry experience. Mary’s experience includes systems acquisition, information technology, research, development, testing, business development and strategic planning. She has extensive military program management experience, knowledge within the Departments of Defense acquisition processes and insight into the workings of the government and military at the lowest and highest levels. Mary’s career culminated as the Chief of Staff and Senior Executive Assistant to the Army Acquisition Executive/Assistant Secretary of the Army for Acquisition, Logistics and Technology. Mary was selected as the first Director of the Army Acquisition Support Center and assignments as the Project Manager of the Joint Land Attack Cruise Missile Defense Elevated Netted Sensor System (JLENS) and as Project Manager for the Army Small Computer Program (ASCP.) Mary entered the Army in 1977 when she was awarded a Direct Commission. Mary’s assignments include Signal Platoon Leader, Meteorological Station Commander, Senior Review Officer for the Chief of Staff of the Army, Brigade Adjutant and various staff positions in communications, intelligence and acquisitions organizations. Mary retired from the US Army in 2006 and founded, Mary Fuller & Associates, LLC, a consulting business specializing in Army/DoD business initiatives improving customer relationships, product development, business strategies, marketing plans and developing leadership efforts for effective teams. Mary graduated from Miami of Ohio with a Bachelor of Science in Radio TV, Film and Master of Arts in Computer Resource Management from Webster University. She is a graduate of the US Army War College, University of Texas Acquisition Fellowship Program and the Defense Systems Management College Program Managers Course.